In tonight’s Peep news, an investigative report. This spring, Dunkin’ Donuts announced a partnership with Just Born, the folks behind Peeps, to bring America a Peep doughnut. And in the tradition of Doritos Locos Tacos and “Fritos on My Sub,” they are taking the country by storm. It may look like it’s just a Peep on top of a flower-shaped plain doughnut, but in reality it is so much more. We couldn’t just let this opportunity pass us by, so we went downstairs, picked up a dozen Peep doughnuts (which are second only to Dunkin’s brownie-batter doughnut in calories) and started tasting. We didn’t quite make it through a dozen. Or six. OK, we made it through about two and a half. "Sugar nestled on sugar is sort of awesome. I got sucked right in, no restraint whatsoever. Ate a whole one. Of course I cut it piece by piece, thinking each piece would be my last, then ended up eating the whole thing." 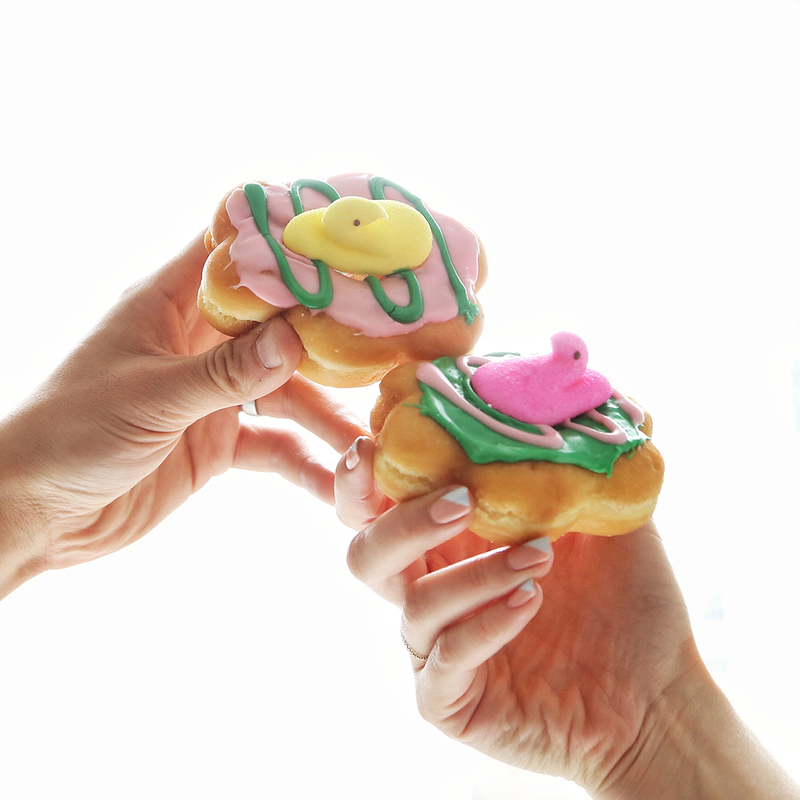 Peep doughnuts will be available through Easter Sunday, so get one while you still can. Or have a live octopus. It’s up to you.